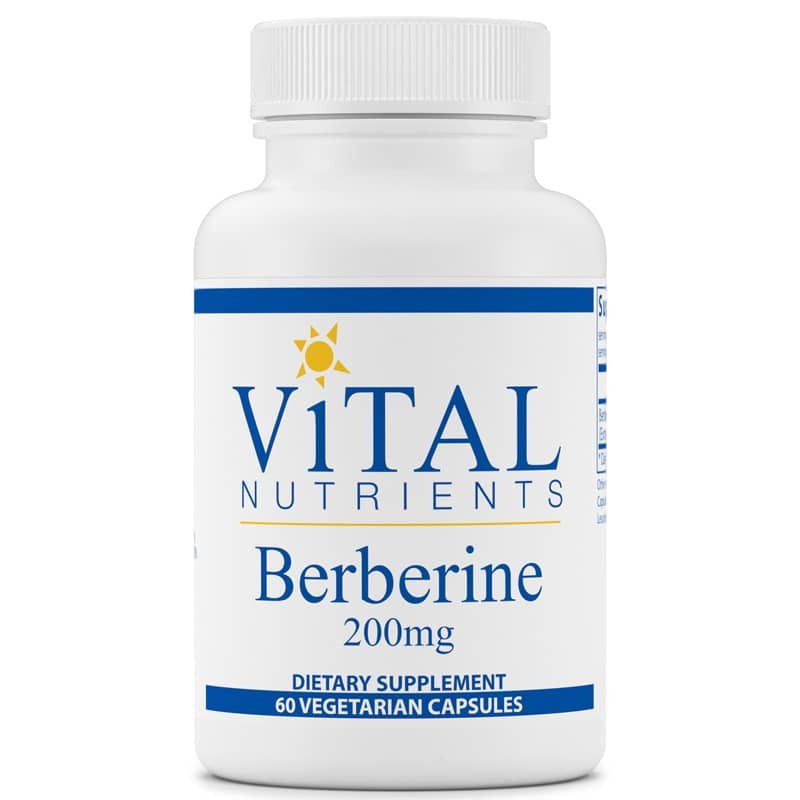 Berberine by Vital Nutrients contains 200mg of Berberine per capsule. Berberine is derived from the plant Berberis aristata, and is supplied as an extract as Berberine Sulfate. 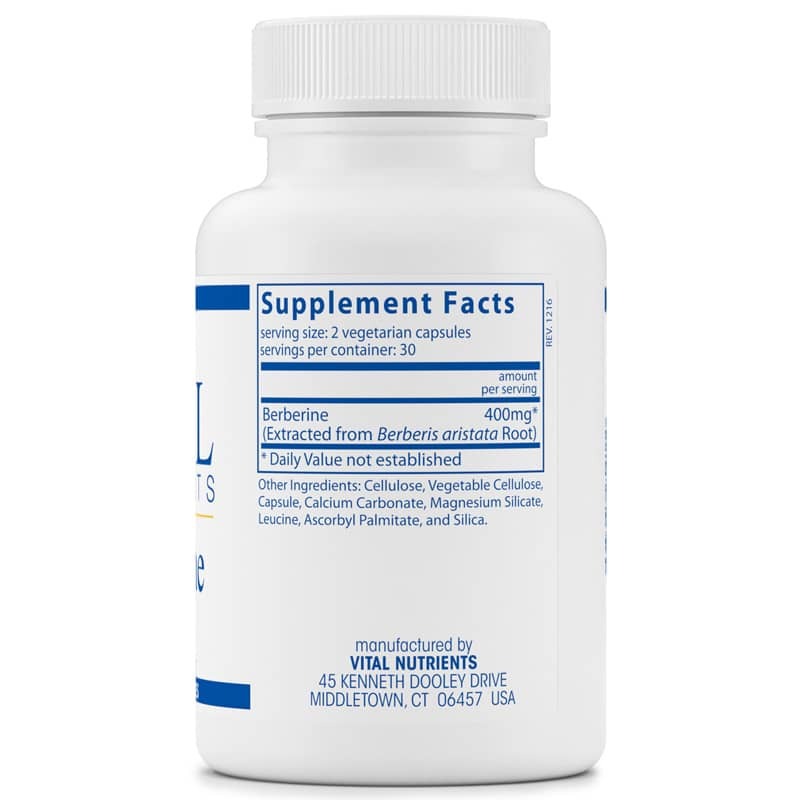 Berberine has traditionally been used to support regular and normal bowel function in healthy individuals. Other Ingredients: cellulose, vegetable cellulose capsule, calcium carbonate, magnesium silicate, leucine, ascorbyl palmitate, silica. 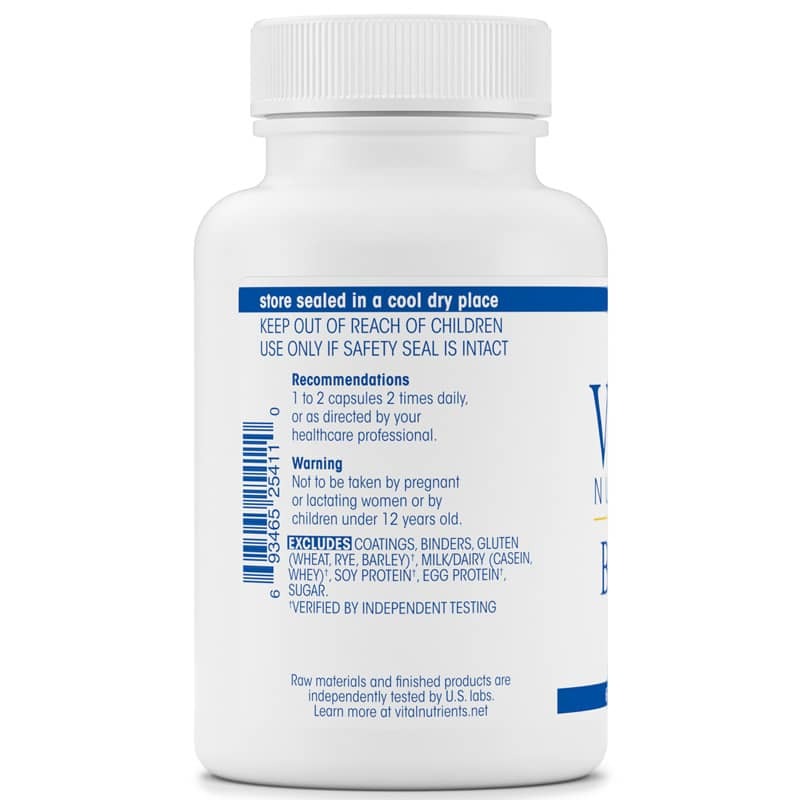 Adults: 1 capsule 2 times daily, or as directed by a healthcare professional. Not to be taken by pregnant or lactating women or by children under 12 years old. Keep out of the reach of children.